Tech. Sgt. 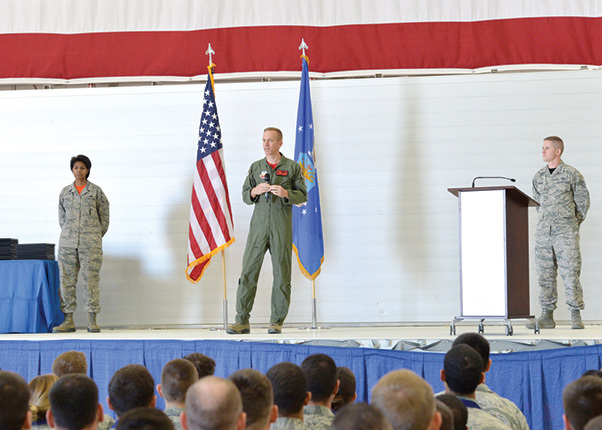 Daniel Villegas, 432nd Wing/432nd Air Expeditionary Wing NCO in charge of protocol, speaks to staff sergeant selects as the guest speaker during a NCO induction ceremony at Creech Air Force Base, Nev., Oct. 23. Approximately 50 inductees were honored for their promotion and received important leadership advice as they prepare to transition to the NCO ranks. 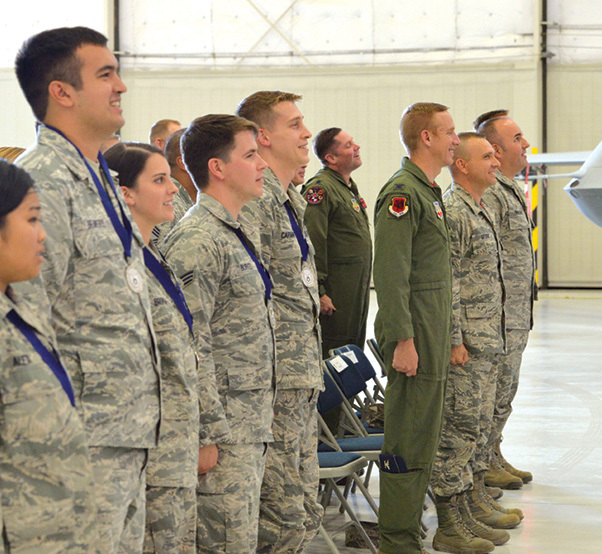 This was the first time Team Creech Airmen were recognized with a formal NCO induction ceremony. Chief Master Sgt. 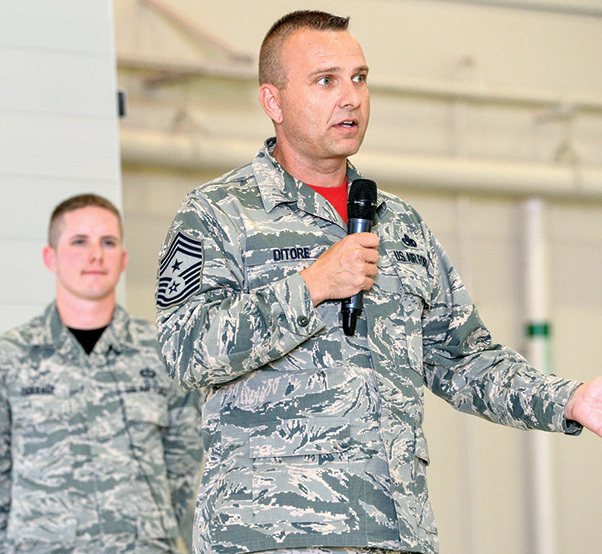 Michael Ditore, 432nd Wing/432nd Air Expeditionary Wing command chief, addresses staff sergeant selects during a NCO induction ceremony at Creech Air Force Base, Nev., Oct. 23. This was the first time Team Creech Airmen were honored with a formal ceremony aimed at recognizing their achievements while preparing them for their future roles as successful NCOs. Approximately 50 staff sergeant selects were in attendance. Team Creech staff sergeant selects and 432nd Wing/432nd Air Expeditionary Wing leadership stand during the playing of the Air Force song after a NCO induction ceremony at Creech Air Force Base, Nev., Oct. 23. Approximately 50 inductees were honored for their promotion and received important leadership advice as they prepare to transition to the NCO ranks. 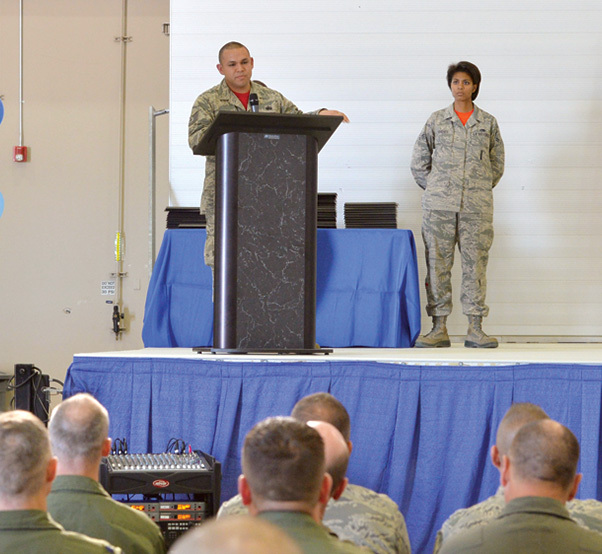 This was the first time Team Creech Airmen were recognized with a formal NCO induction ceremony. 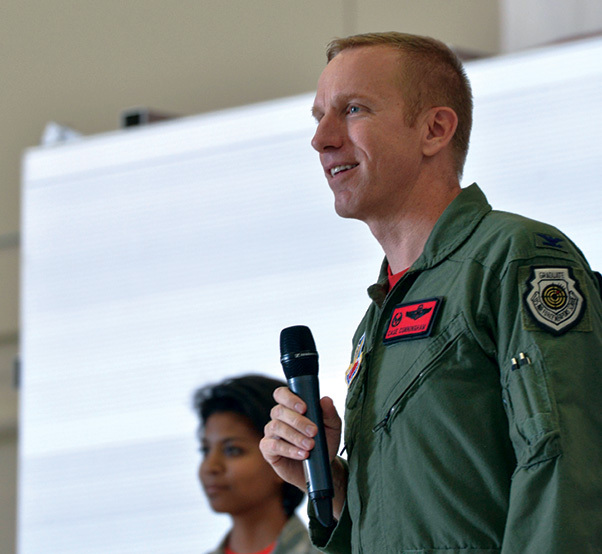 Col. Case Cunningham, 432nd Wing/432nd Air Expeditionary Wing commander addresses staff sergeant selects during a NCO induction ceremony at Creech Air Force Base, Nev., Oct. 23. This was the first time Team Creech Airmen were recognized with a formal ceremony aimed at recognizing their achievements while preparing them for their future roles as successful NCOs. Approximately 50 staff sergeant selects were in attendance.